Product #60735 | SKU SSD-T5C | 0.0 (no ratings yet) Thanks for your rating! 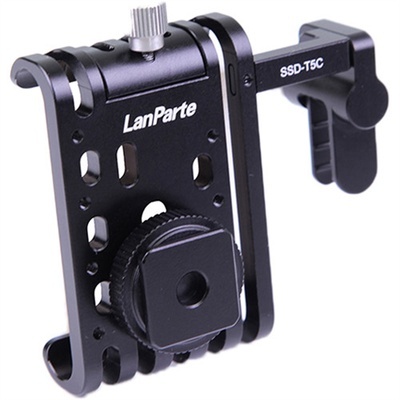 The Lanparte SSD clamp for Samsung T5 is a dedicated mounting solution working with Lanparte BMPCC4K-HC, BMPCC4K-C cages and other cages on the market. Its compact design perfectly fits Samsung T5 SSD. Cold shoe socket on the bottom provides quick release function for the clamp to mount on the cage easily. The clamp is equipped with a small USB-C cable clamp to prevent any possibility of disconnection of video transmission during shooting.